Wystawa Chiosc / Kiosk to rezultat współpracy Pracowni Działań Interdyscyplinarnych Akademii Sztuk Pięknych w Katowicach z kuratorem i dyrektorem Stowarzyszenia Artystycznego Oberliht z Kiszyniowa, Vladimirem Us. Tytułowy kiosk to struktura architektoniczna, obiekt inspirowany standardowym mieszkaniem Mołdawskiej SRR. Wobec niemożności oficjalnego, publicznego prezentowania sztuki tzw. podziemia, w latach 70. i 80. popularne stało się “wystawianie” w prywatnych mieszkaniach. Dzisiaj, moduł ten wyjęty z kontekstu osiedla, bloku przez artystę Stefana Rusu i umieszczony na jednym z placów w Kiszynowie- stolicy Republiki Mołdawii w sposób symboliczny przenosi dyskusję z mieszkania w przestrzeń publiczną. Jako otwarta galeria jest miejscem animowania i prezentowania projektów artystycznych, punktem dystrybucji informacji kulturalnej, platformą do spotkania i rozmowy. Na wystawie zaprezentowanych będzie kilka projektów powstałych dla i wokół Chiosku. 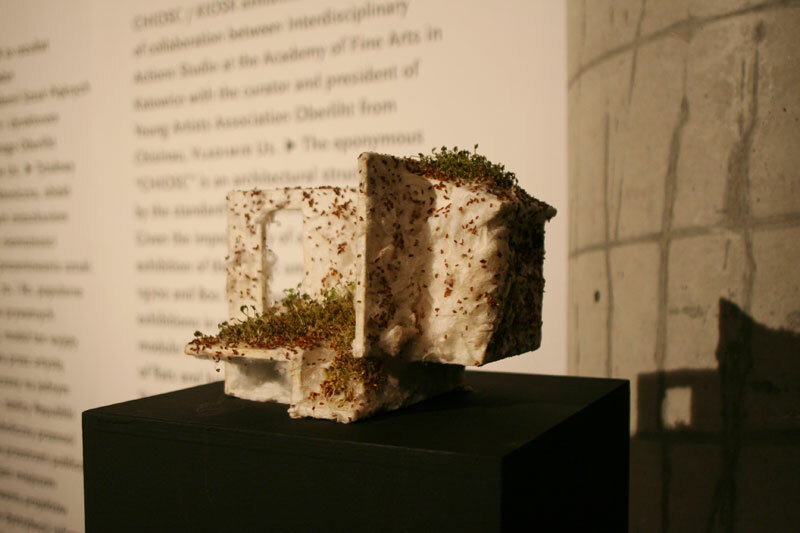 CHIOSC / KIOSK exhibition is the result of collaboration between Interdisciplinary Actions Studio at the Academy of Fine Arts in Katowice with the curator and president of Young Artists Association Oberliht from Chisinau, Vladimir Us. The eponymous “FLAT SPACE” is an architectural structure inspired by the standard flat in Moldavian SSR. 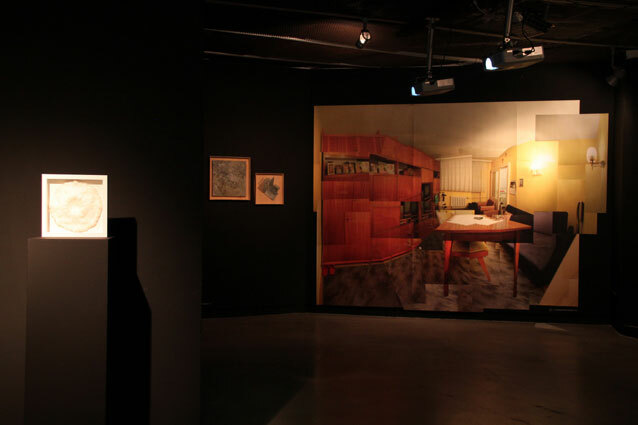 Given the impossibility of open, public exhibition of the artistic underground, in the 1970s and 80s it became popular to host art exhibitions in private homes. Today, this module is removed from the context of block of flats and housing estate by the artist Stefan Rusu and placed on one of the squares in the Moldovan capital Chisinau, thus symbolically taking the discussion from the flat into public space. 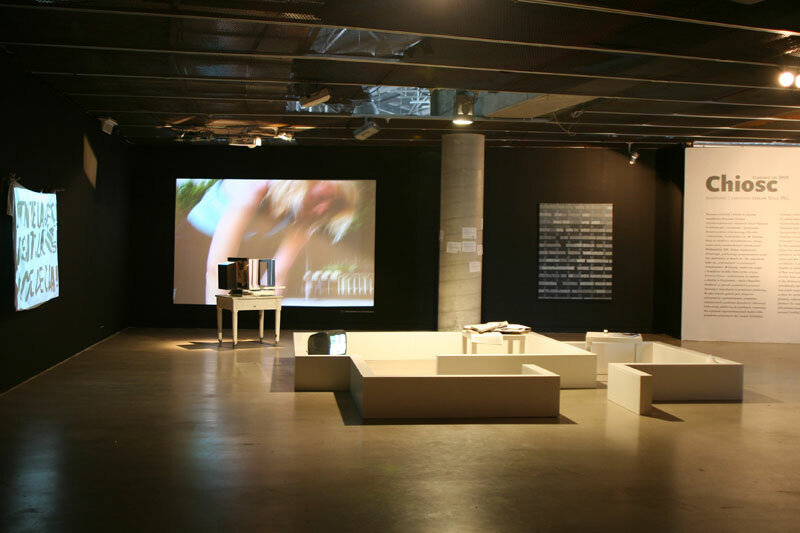 As an open gallery, it is a place for animating and presenting artistic projects, cultural information point and a platform for meetings and talks. The exhibition will present several projects created for and around FLAT SPACE. At a time when FLAT SPACE existed only as a file in the drawers of the city administration, the activities anticipating the KIOSK project were already taking place. INTERVENTIONS2 (2007) – consisting of a series of exploratory walks through the city as a means of documenting, with the help of photography, places of power and control, processes of gentrification, the invisible and left over spaces or non-places – was followed, in 2008, by INTERVENTIONS3, a new edition which involved more than thirty participants from several European countries who were invited to reflect on the processes that have been shaping Chisinau’s public space. 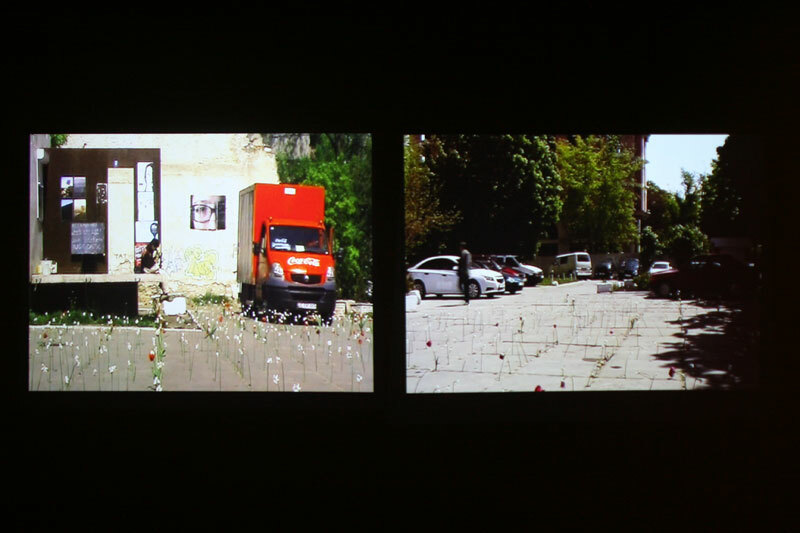 This particular activity, organized as an artist-in-residency program and consisting of walking tours, public presentations, screenings and other events, resulted in a series of ephemeral interventions throughout Chisinau and its suburbs, transforming the city into a plateau for research, a space for production and exhibition, where the artists could meet and interact with the public. The general concern with the public space issue enhancing both projects’ objectives and the need to influence the existing public policies and local authorities to extend the access to public space and allow its less restricted usage have prepared the ground for a more permanent structure to be installed in the city (excerpt from KIOSK catalogue, Chisinau 2011). 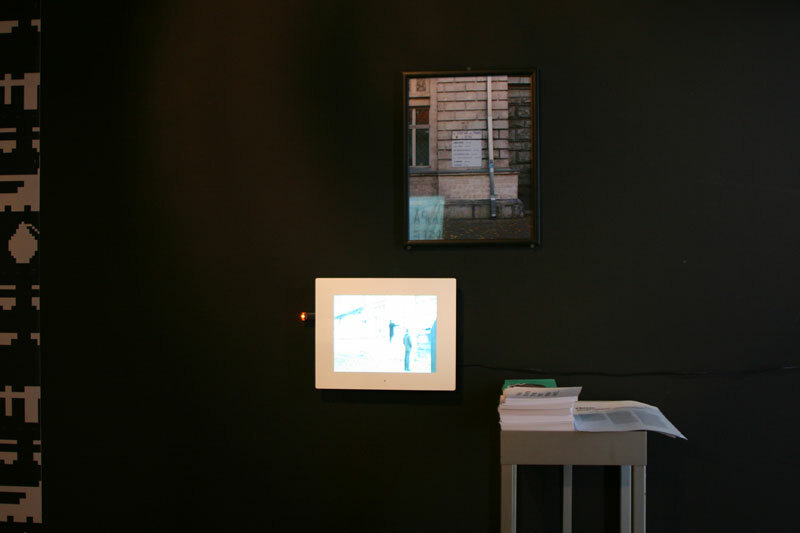 When several years ago artists and theorists began to deal with the influence of the quickly spreading capitalism that was paving the way for holders of private property, and analyze its consequences within the urban (post-socialist) space, in some cases the kiosk was seen as the man in the street’s answer to the radical economic changes taking place in Eastern Europe. Small-scale private enterprise markets taking various forms (kiosks, vendor tables, stools, fridges, cars etc.) invaded the streets and public spaces, becoming the arena for a new citizen-driven economic model within the regulated capitalist environment. 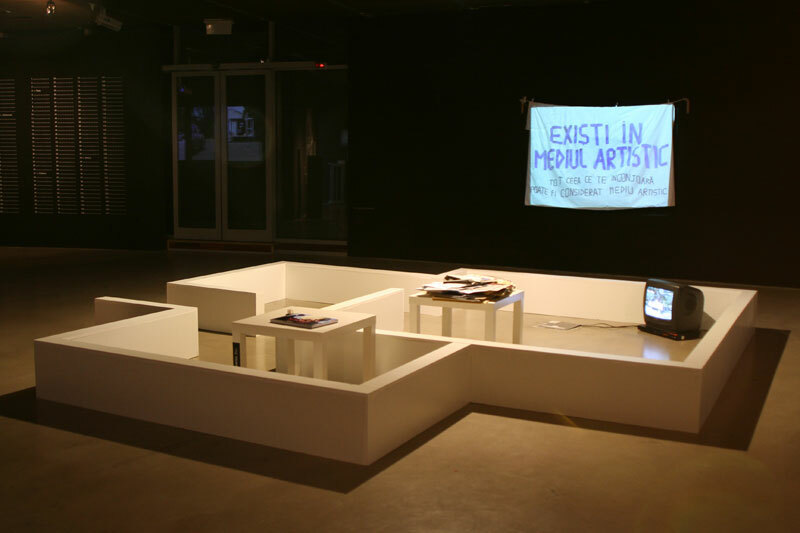 In 2009 another type of kiosk was launched in Chisinau, aiming to provide an alternative within a cultural sector dominated by institutions inherited from the Communist period: the KIOSK project, embodied in FLAT SPACE, a cultural information point and a platform for public participation initiated by the Oberliht association. Installed on a tiny segment of municipal ground, squeezed in between cars aggressively taking over the sidewalks, FLAT SPACE plays the role of an active agent of bottom-up civic involvement, understanding cultural engagement as social action capable of producing a critical culture. The activities built around it address, in its immediate surroundings, the urgent question of public space. 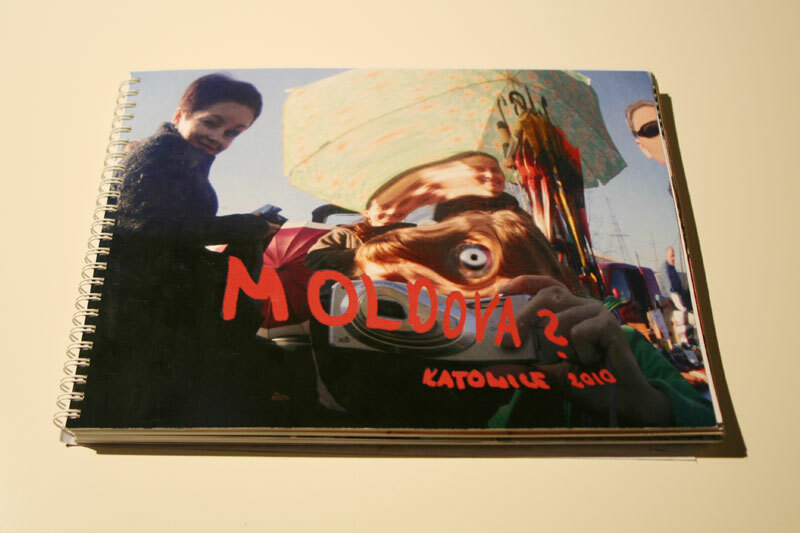 In a broader way the project offers the basis for the analysis of the cultural, social and political realities of one of Europe’s suburbs (excerpt from KIOSK catalogue, Chisinau 2011). 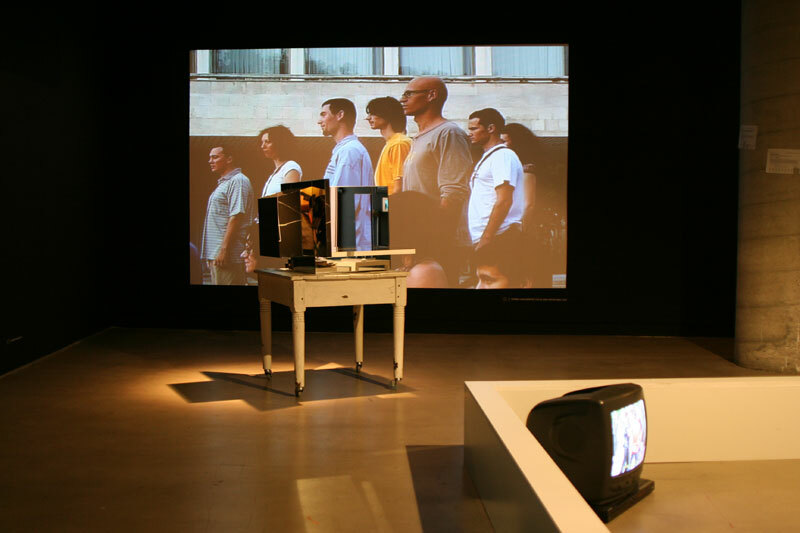 Between 4 and 12 of July 2009, Croatian artist Tonka Maleković took part as artist in residency in the frame of KIOSK project, in Chisinau, initiated by Oberliht, young artists association. 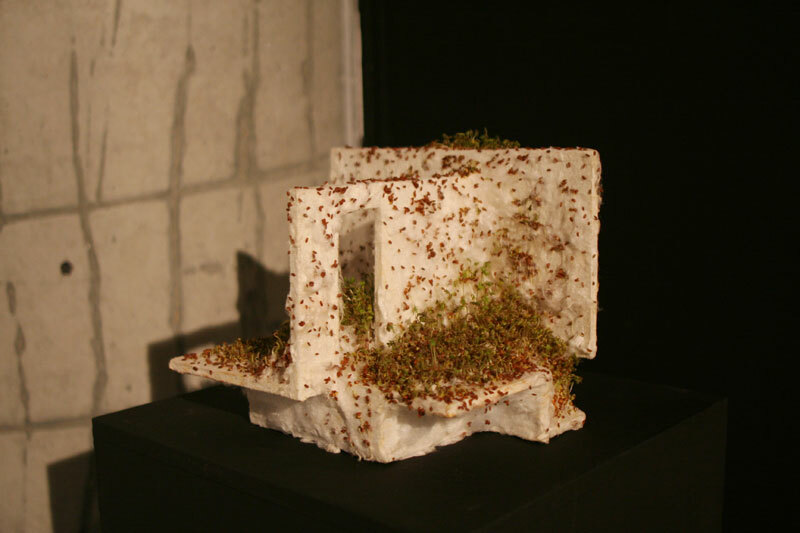 For this occasion she developed a project POSSIBILITY OF THE CITY in collaboration with Moldovan artist Ion Fisticanu. 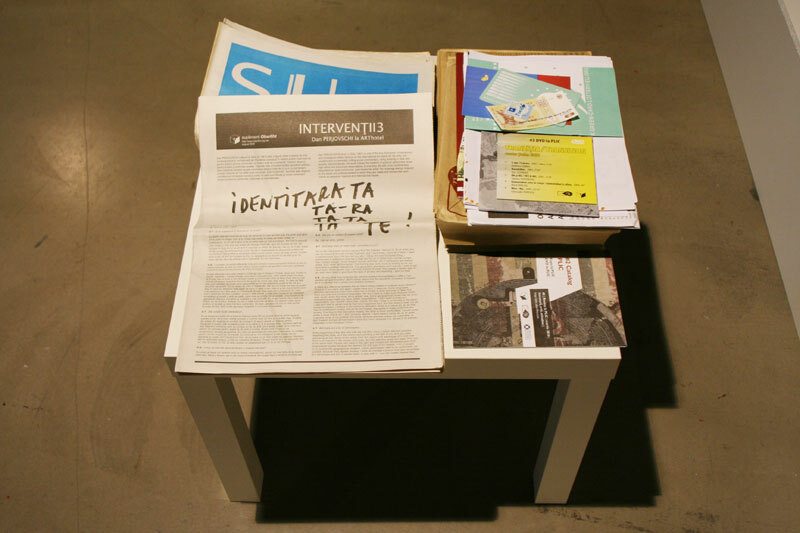 Influenced by the artwork of Ion Fisticanu (“Cities on the roof of my house / INTERVENTIONS3, 2008”), Tonka Maleković connected his idea with her own preoccupations about how to develop relationship with the public space through the play, imagination and improvisation, in direct participation. Therefore, she proposed Ion collaboration, expanding the frame of the original work by positioning it within the wider concept and inviting more people to join in. The idea was simple: to walk, to observe, to play, to construct improvised constellations representing cities using the materials found on the spot, on various locations all over the city of Chisinau. 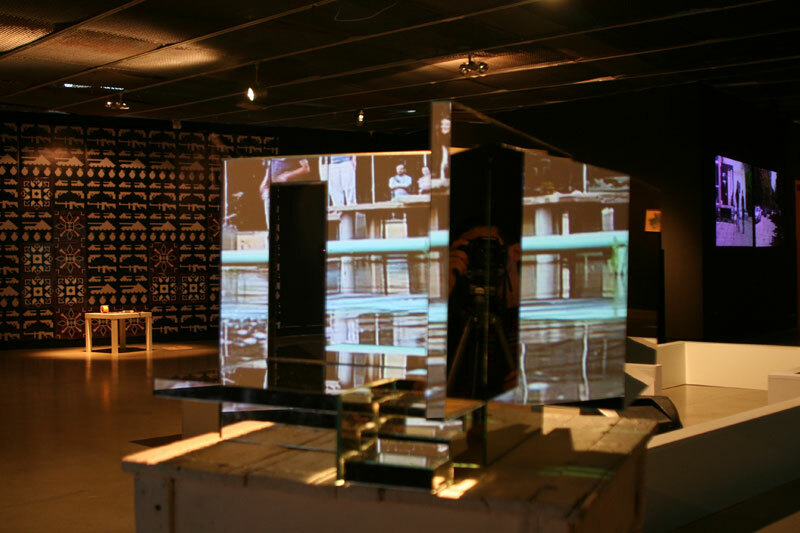 Rethinking the public space and one’s relation towards it, very often makes the basis of the work of Tonka Maleković. Possibility of the City project continues along this line. On metaphorical level it speaks about the city as a possibility, and its citizens as creators of the new urban realities. (excerpt from Oberliht Supplement | SoE, July 2009). The project by Ewa and Paweł reconstructs a fragment of a dilapidated fountain in Chisinau (the location is not without significance), which will dissolve with time and again reveal a certain lack. The form made of soap reconstructs the missing part not so much provisionally as temporarily. 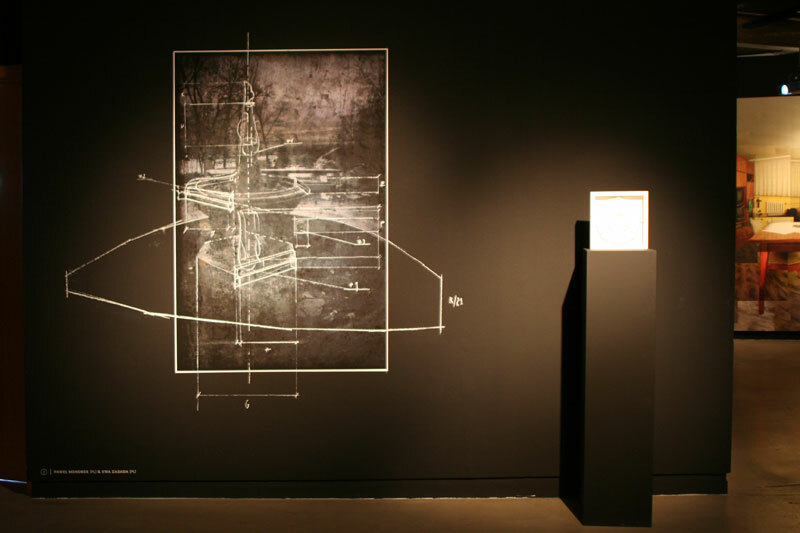 It fills a gap in the form – not just an aesthetic object, but on the symbolic level – in the system it represents. More than the object itself, what interested me was the place where it is located. I began an intense “exploration” of Moldova, recording this process in photography and pencil. These activities lead me to the home of Ms Nona who comes from Moldova. However, I had a long and surprising journey before I got there. I am showing the FLAT SPACE model fully covered in mirrors – it is my response to being asked for a comment on the reality of Moldova. I am aware that any artistic expression of the living conditions in an unfamiliar place can be easily interpreted as empty demagogy. Snatches of information from many different sources are hardly sufficient to form an opinion of the situation in a foreign country. What information reaches us, creates an image of a country in the period of political and mental transformation, with typical accompanying problems. 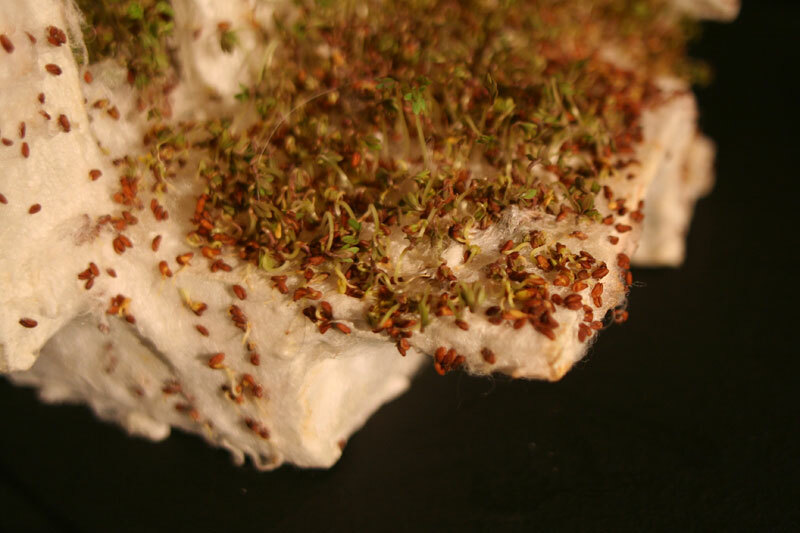 Currently, mostly due to the development of the Internet, the changes are becoming faster and generate new expectations. For me this is the source of the manual interface of these ambitions that FLAT SPACE is. 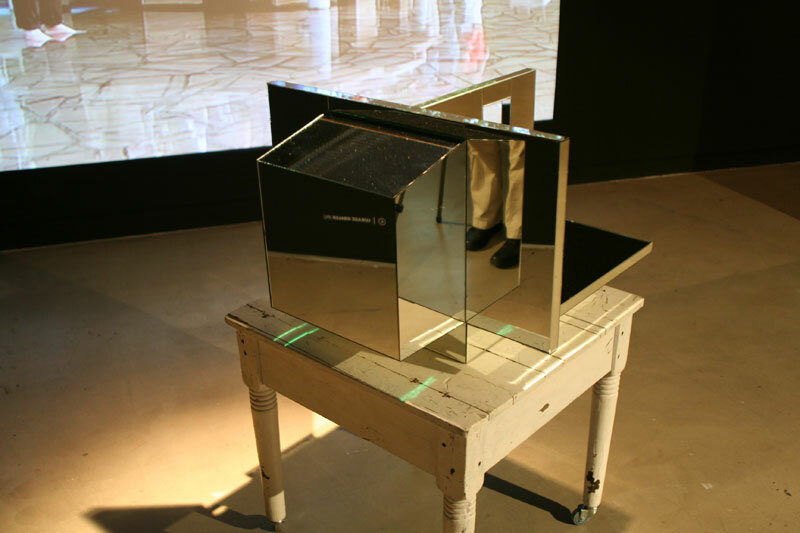 The mirrored object in one of the squares in Chisinau will by itself comment on the surroundings. During his residency in Chisinau, in collaboration with Oberliht Association, Jarek Sedlak has produced a work composed of 500 flowers that were planted on the square from Bucuresti str. 68, restricting this way the transport circulation on the square and keeping it free of cars during one day. This allowed the ordinary users of the square to project their own ideas for the suddenly free place, making space for imagination and play. My project on the socio-political situation in Moldova takes the form of game simulation. 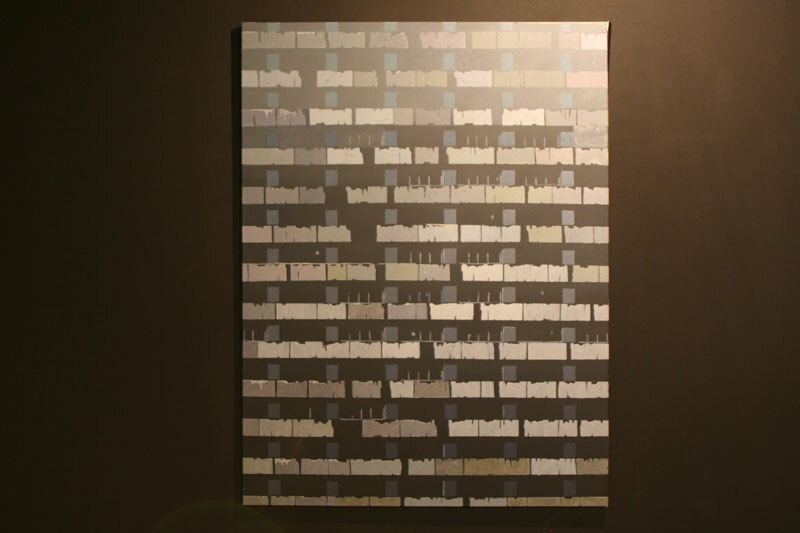 Black background with military symbols (tanks, grenades, guns) sized 440 × 280 cm has been divided by dotted lines into 40 × 40 cm squares. 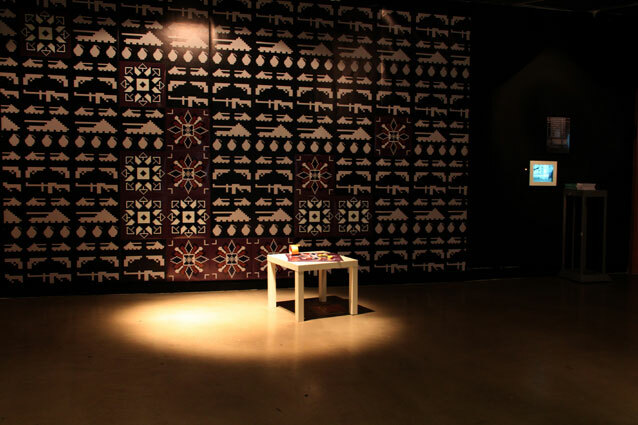 There is interaction on the board: each wallpaper square corresponds to one Moldovan ornament. As an individual I have no way of changing world politics. Actually, I have little influence even on my immediate surroundings. The possibility of change is just a wish. I would like any person to be able to decide their fate, shape and creatively criticize reality. The awareness of potential change is in itself a change. The project “…” is connected with resident lists/intercoms located at the entrances to blocks of flats. Due to personal data protection regulations, residents choose if they want to make their names public or not. 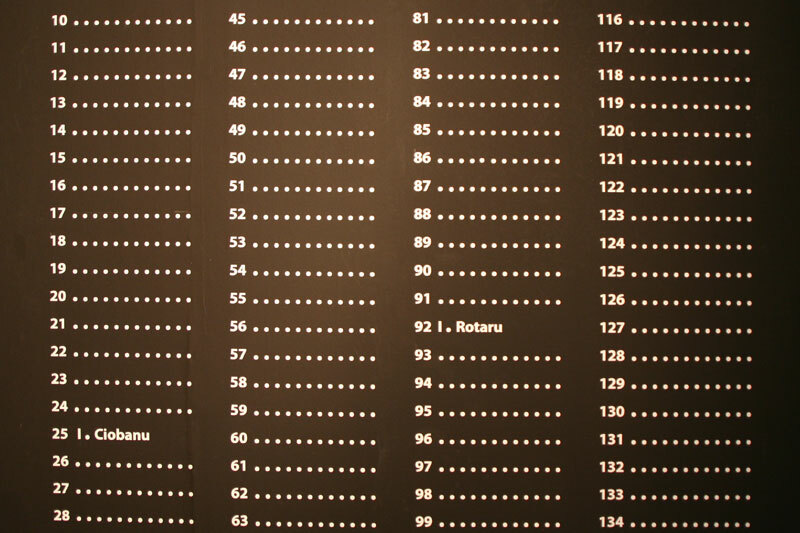 As a result of their decision to remain anonymous, many lists are composed mostly of empty spaces with flat numbers. While documenting intercoms at housing estates in many cities I came across a meaningful example. On a long list with just flat numbers there was only one name – J. Nowak. As it is the most common name in Poland, it means just as much as another number. For my project I consulted the statistics of most common last names in Poland and Moldova. Stefan cel Mare si Sfint Boulevard, which stands today for the main boulevard in Chisinau, is a research project through which I would like to reveal the names that this particular street had in the past, thus unveiling the past and present mechanisms that stay behind the process of writing the history. The name of Stefan cel Mare si Sfînt was attributed to this street in 1990, when Republic of Moldova became an independent state after the fall of the Soviet Union. In the process of research I found out that this particular street has changed its name at least seven times, changes that were operated under different regimes in the past. The idea behind „Large Panel” is to draw attention to details in blocks of flats built of prefabricated concrete panels, which usually go unseen by the residents accustomed to their presence and character. The interiors photographed were constructed in a way that defies craftsmanship and common sense. They create a dream-like and surreal atmosphere. Photographs arranged into imperfect collages filled with detail express the absurd nature of the spaces portrayed. I am familiar with the activities of Oberliht Association and FLAT SPACE as public platform for participation from Chisinau mostly from stories. Moldova seems quite an exotic country to me. My works are directly inspired by the images that form my source of information about this place. 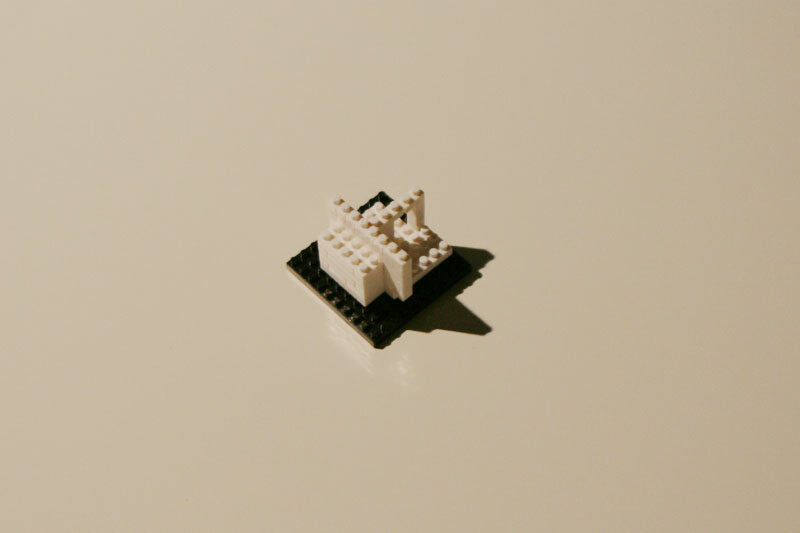 One of them is the photograph of FLAT SPACE model, which functions as the unofficial logo of this space. Another is a newspaper photograph documenting the “Plastic Garden” action. Turning these images into paintings allows me to come in touch with the subject and familiarize the form in my own artistic language. Wind Protest is initially an artistic intervention connected to the April 2009 events that took place in Chisinau. It was realized by Diana Arosio, Helen Brandt, Felix Reisbeck and Vladimir Us and was presented in the FLAT SPACE. 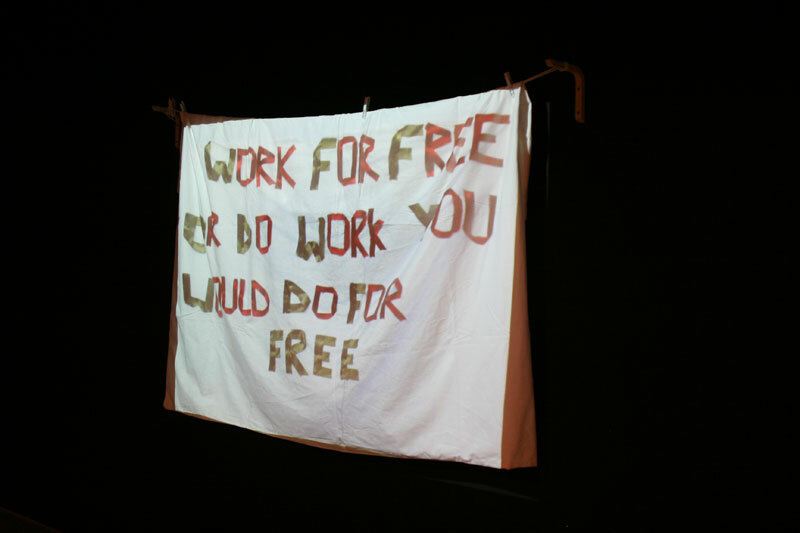 The work itself makes reference to the freedom of expression and access to information. The public was invited to write their statements, opinions and feelings related to 7th of April events down on a piece of cloth that were presented later publicly in the balcony of the FLAT SPACE. The intention of this work is to communicate differently, more effectively and without violence. In 2011 inside the balcony at FLAT SPACE the works of 8 of March Public Action [MD], Campaign for supporting the GHOST Pavilion of Republic of Moldova [MD], Art Workers Coalition, 1969 [US], artistic groups focAR [RO] (Alina TUDOR and Razvan NEAGOE) and Monotremu [RO], artists Dan Perjovschi [RO], Janos Sugar [HU] were presented. 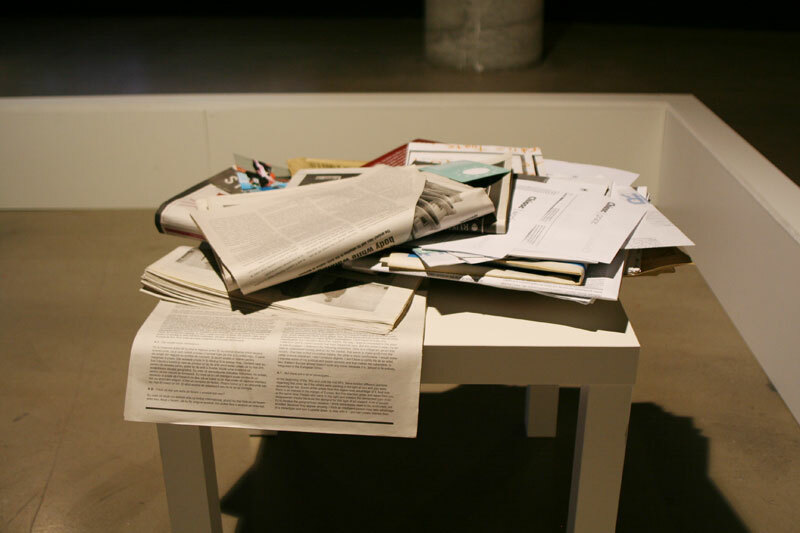 In connection to the [oberlist] mailing list, which covers the arts field with different regional focuses, the Cultural Information Point offers news and announcements from various European countries. Open calls for artistic projects, artist in residency programs, art news, and announcements for local cultural events are regularly displayed there. The visitors will also be able to consult various publications edited by Oberliht Association.